The First Cheese Magnet Live-Tweeting Event! Okay, that header might be the weirdest sentence I’ve ever written, but these are the times we live in. 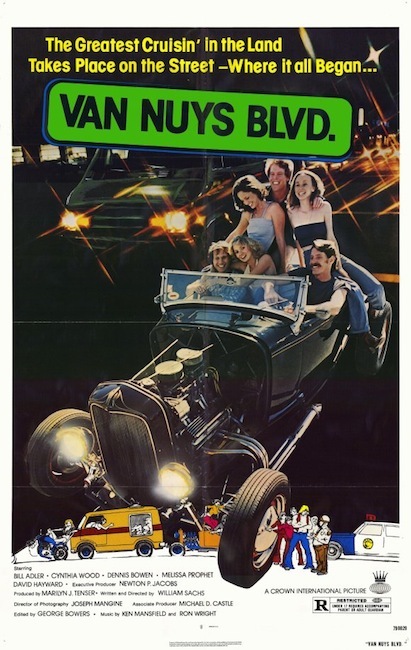 Anyway — tonight, April 1 at 9:00 PM Pacific time, Tanzi and I are gonna live-Tweet our viewing of the drive-in classic Van Nuys Blvd. I’ll be on my personal Twitter account (@ScottPhillipsNM) and Tanzi will be on the Cheese Magnet account (@CheeseMagnet). So follow us on Twitter, get online at 9:00 PM Pacific time tonight, and take part in the madness!